National Coffee Day at Pappalecco - San Diego Dining Dish! 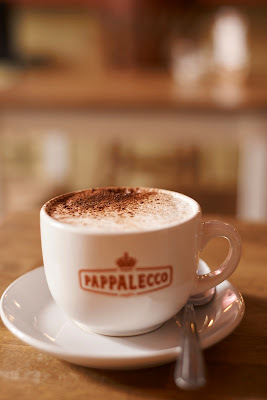 National Coffee Day is coming up on Friday, September 29, and Pappalecco Cafe is offering $2 cappuccinos from open to 11:00 a.m. to celebrate and share some Italian coffee traditions with San Diego. Pappalecco is a local Italian coffee, pastry and dining destination—serving organic coffee with a blend of beans roasted in Temecula. Here are some guidelines for drinking coffee the Italian way! Italians only drink milk in the morning – Italians don’t drink cappuccino, caffe latte or any milk in their coffee after 11:00 a.m. and never after a meal. 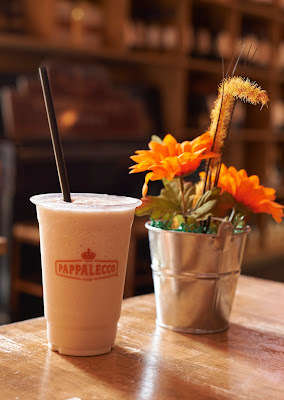 Italians keep it simple – the rich espresso flavor is just right and they avoid things like pumpkin spice lattes although a marocchino in Milan is acceptable—a shot of espresso, milk and Nutella! No doubles – Italians can drink up to six espresso a day, but they never order double shots—they sip in small amounts throughout the day.